Now that Wisconsin is the nation’s 25th right-to-work state, it’s time to address another labor-related reform: eliminating Wisconsin’s prevailing wage law. Prevailing wage is a backward policy designed to ensure government contract workers are paid wage rates and receive benefits that are “prevailing” in a given industry or region. As it turns out, prevailing wages can be up to 40 percent higher than competitive market wages, meaning taxpayers are hit with an extra cost burden on many government projects. Today, 32 states have their own versions of prevailing wage policy. There are 9 states that have had their prevailing wage laws repealed or invalidated in court, and the remaining 8 states have never had them, including neighboring Iowa. In Wisconsin, prevailing wage applies to all state and local government construction or repair projects performed by private contractors, with certain exceptions. “Single-trade” projects with a total cost of less than $48,000 are exempt from prevailing wage. “Multiple-trade” projects with a total cost of less than $100,000 are also exempt. The state’s Department of Workforce Development is charged with determining prevailing wages for the state and for localities. Local prevailing wages are set at the county level in an attempt to account for regional market differences. While higher wages and wage growth are key components of a healthy economy, government-mandated higher wages do more harm than good in the long run. Prevailing wage undermines market competition, overestimates true market wages and creates an unnecessary burden on taxpayers. Healthy competition in a market economy helps to keep the cost of goods and services at a reasonable level by incentivizing businesses to offer consumers maximum benefit at an affordable price. This is economics 101. Prevailing wage laws work against the market process by unnecessarily inflating project costs and potentially blocking contractors who may offer to undertake a project for a lower cost. The Mackinac Center in Michigan identified a real life example of how prevailing wage can substantially distort market activities. Michigan is another state that has a prevailing wage law. In Iron Mountain, MI, a town in the Upper Peninsula near the Wisconsin border, St. George Glass & Window employs glaziers that are paid about $20 per hour. Prevailing wage laws say that those same glaziers must be paid $43.53 per hour if the project being worked on is a public project. The oddity of this wage inflation is underscored by the fact that Iron Mountain is in a region of Michigan that has a low cost of living and whose median household income is just $44,000. Livingston County near Detroit is the county in Michigan with the highest cost of living and a median income of $72,000. The prevailing wage for glaziers in Livingston County is $47.35. In the end, taxpayers in relatively low income in Iron Mountain are stuck paying prices meant for a richer economy hundreds of miles away. A pair of studies by the non-partisan Anderson Economic Group (AEG) have looked at the effects of prevailing wage on education construction costs in Michigan and Illinois. The studies conservatively estimated that wages were inflated by 25 percent in Michigan and by 11 percent in Illinois. AEG also found that benefit levels in Illinois were inflated by 61 percent under prevailing wage for education construction. Based on AEG’s methodology, we can estimate potential savings for public projects in Wisconsin if prevailing wage is repealed. To do this, we apply a conservative inflationary effect on wages at 20 percent. We also assume that labor costs are about 1/3 of total project costs for a given public project, which is similar to AEG’s analysis of labor costs as a proportion of total project costs. The School District of Elmbrook is planning $9.8 million in capital improvements from 2015 to 2017. 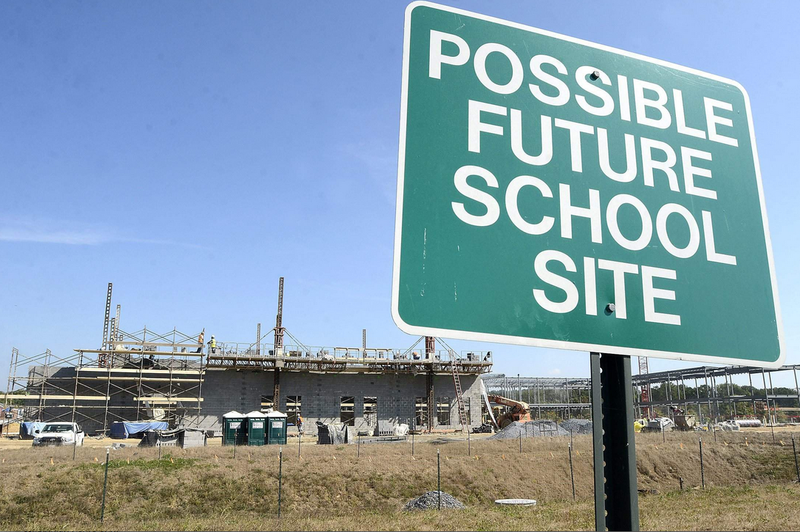 According to the school district’s website, projects include roof repairs, new parking lots and HVAC improvement’s among others. Under the assumption that labor is 1/3 of the total cost and inflated wages because of prevailing wage are 20 percent over a competitive market price, the school district could save over $654,500 if there was no prevailing wage law. That is money that could go to the classrooms or back to taxpayers in Elmbrook. To take another example, voters in the Waunakee Community School District recently approved $44.8 million in debt authority for the construction of one new school and renovations to two others. Applying the same methodology above, eliminating the prevailing wage could save nearly $3 million for these projects. Wisconsin’s state government could also benefit from cost savings if prevailing wage is repealed. Consider the Department of Transportation’s (DOT) Hill Farms office building replacement project. Hill Farms is the DOT’s primary administrative facility and in 2013 a $196.6 million replacement building was approved for construction. Assuming that the construction costs are subject to prevailing wage, savings for this project could be around $13.1 million if prevailing wage is repealed. AEG’s studies concluded that prevailing wage laws cost Michigan $224 million every year in just education construction and $158 million a year in Illinois for the same type of projects. Education construction is only one kind of public project subject to prevailing wage in these states, meaning that actual costs could be two, three, or four times the amounts from AEG’s study. That is a lot of money that could instead go into the classroom, or to other state needs, or that could stay in family pockets but is demanded to be paid out because of prevailing wage. Prevailing wage laws in Wisconsin also affect all sorts of public works projects from local road improvements to school construction and building repairs. Savings from a prevailing wage repeal would be experienced at all levels of government in Wisconsin. Many other states are circulating proposals to limit the impact of prevailing wage laws. In early March, Nevada Governor Brian Sandoval (R) signed a bill that eliminated prevailing wage for all school construction in the state. This is the same thing that Ohio did back in 1996. In Connecticut, 23 separate bills have been introduced ranging from complete repeal of the prevailing wage to increasing project thresholds. Both Indiana and Michigan are also currently debating bills that would eliminate their respective versions of prevailing wage law. Wisconsin is already a high tax state, even after income tax reductions and property tax relief over the last few years. Taxpayers should not be subjected to artificial cost increases required by prevailing wage. Likewise, public officials should be free to save their constituents money by searching for the best deal when commissioning public works projects.